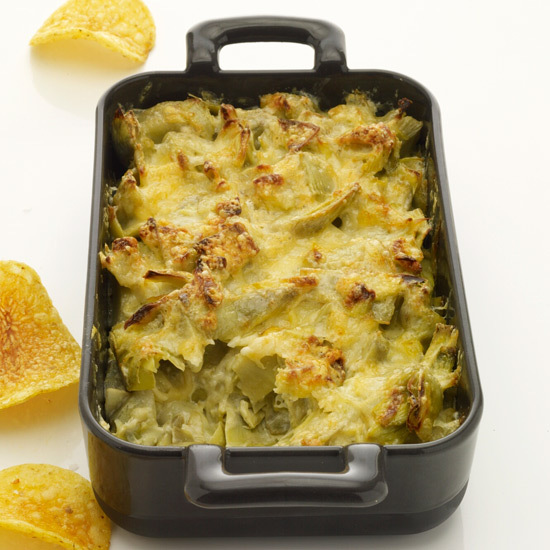 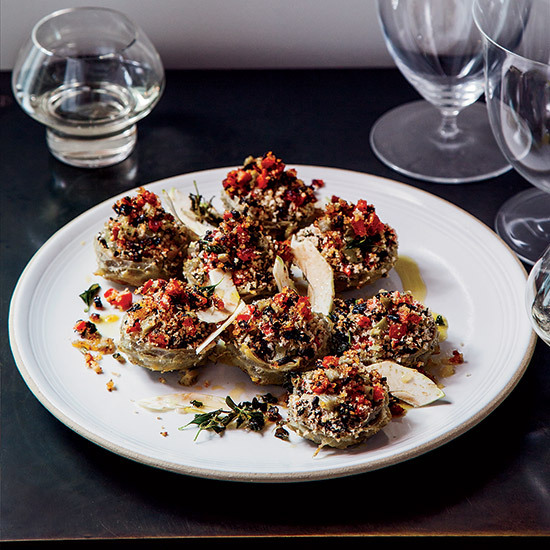 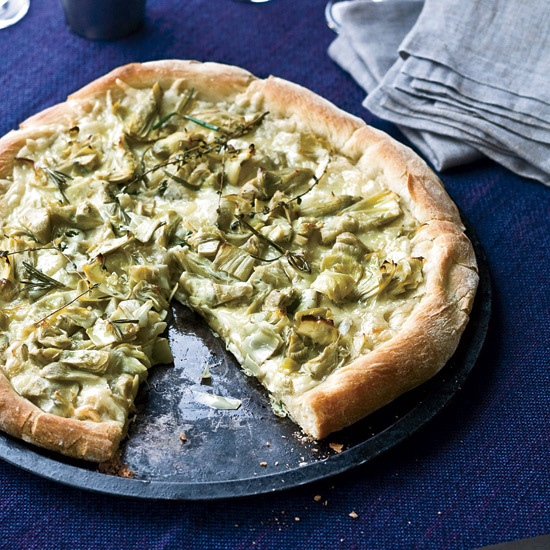 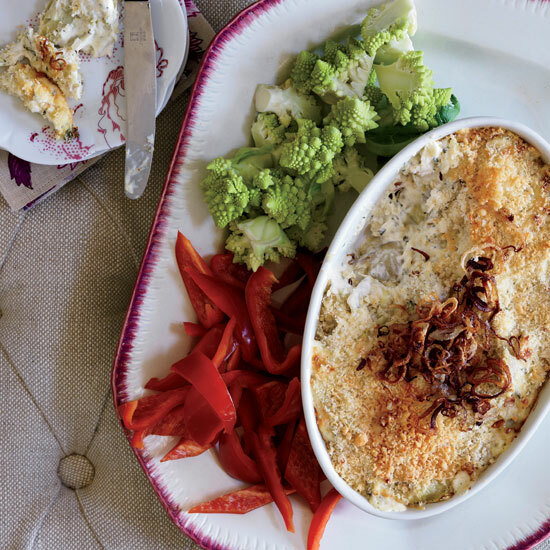 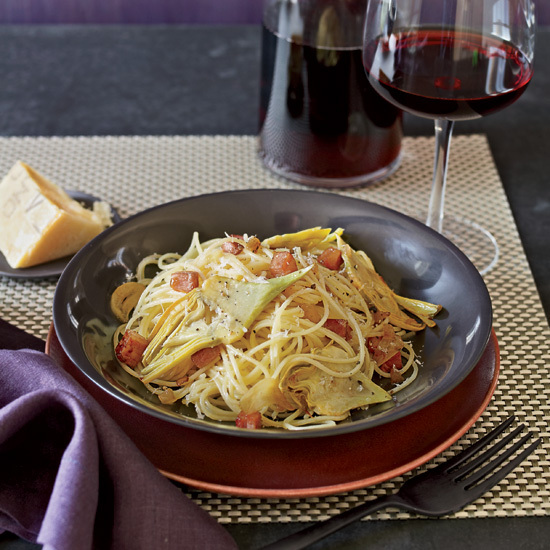 From creamy artichoke dip to Mario Batali's amazing spaghetti with artichokes, here are delicious recipes with artichokes. 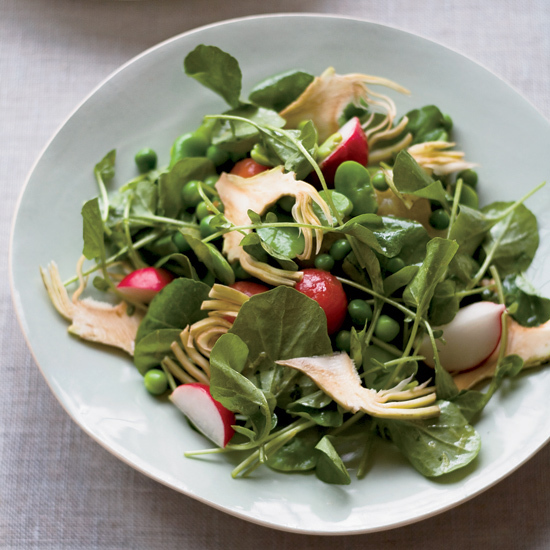 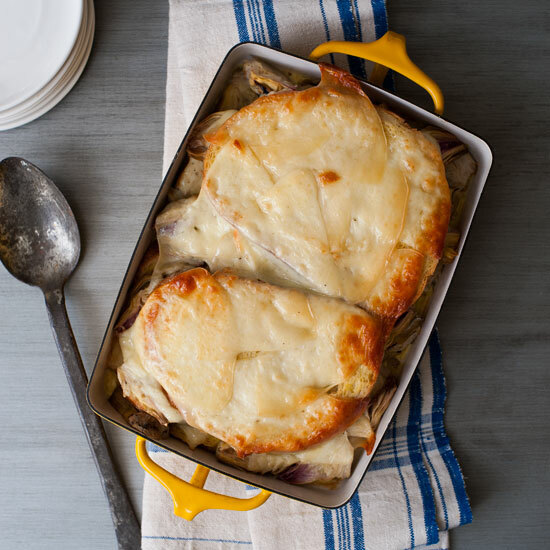 To make this elegant dish vegetarian, simply swap vegetable stock for the chicken stock. 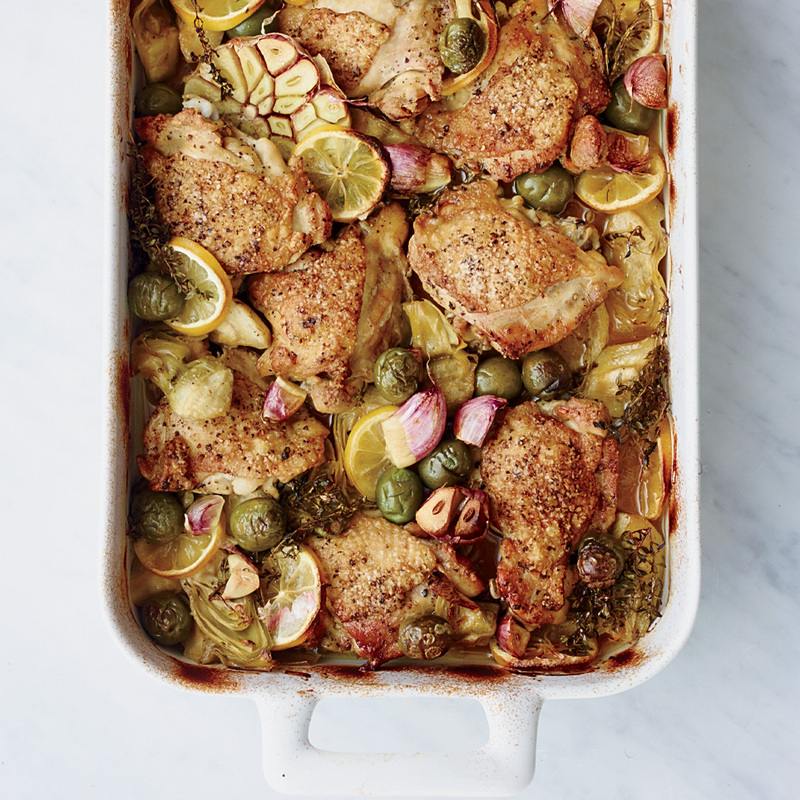 For maximum flavor, Naomi Pomeroy doesn't just roast chicken thighs. 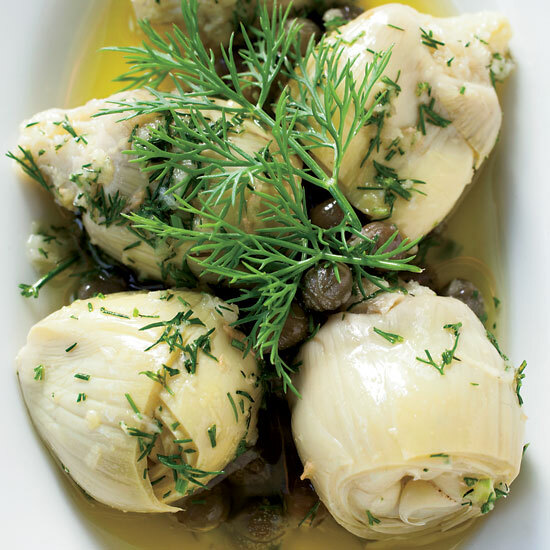 Instead, she crisps the skin, then braises the pieces in a supertasty mix of marinated artichokes, olives, sherry, garlic, lemon and thyme. 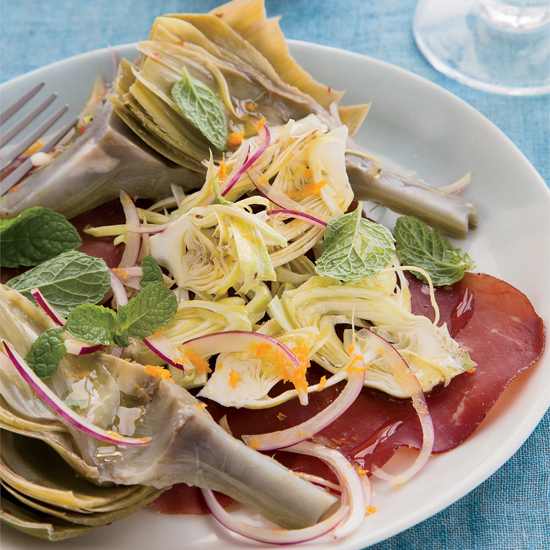 “You can ‘turn’ the artichokes, but that’s a bit fancy and laborious,” says Richard Blais about the chef technique of trimming the hearts down. 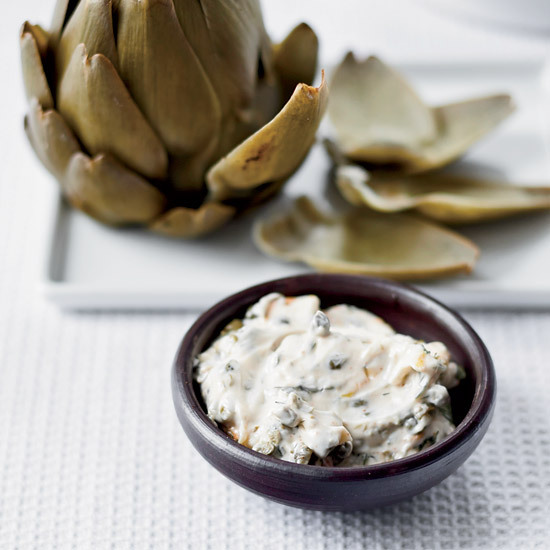 It’s much easier to serve the steamed artichokes whole; their nutty flavor is especially delicious with the smoky, herb-flecked mayonnaise. 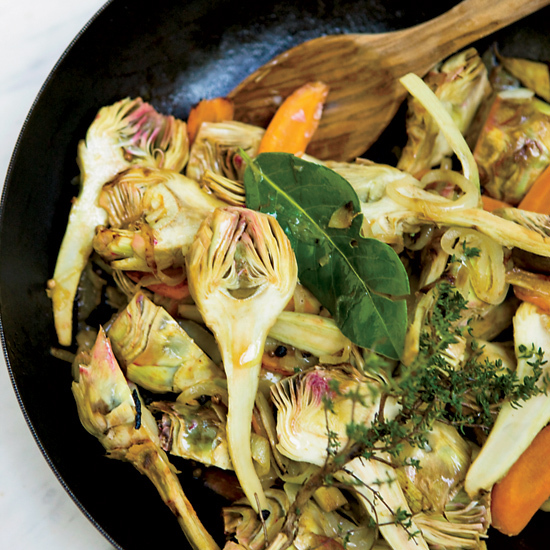 If cooks were asked to name the vegetables they find most intimidating and time—consuming to prepare, artichokes would surely top the list. 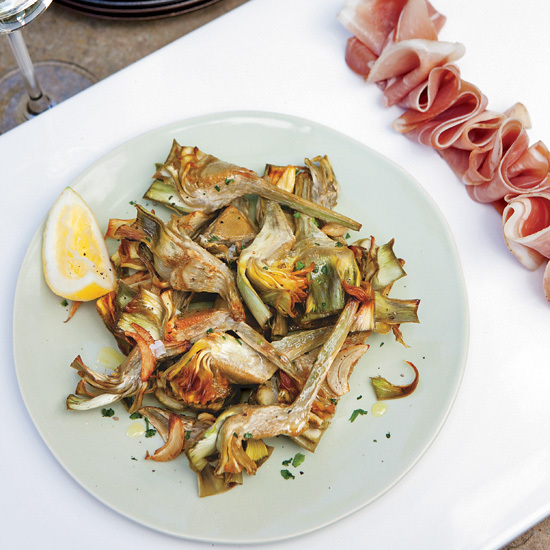 Marinated artichoke hearts from Umbria in central Italy solve the problem: No trimming, cooking or choke removal is required. 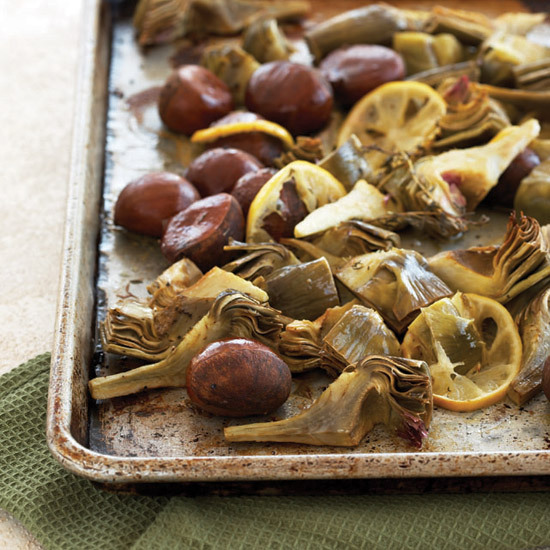 Fresh chestnuts are a cold-weather icon. 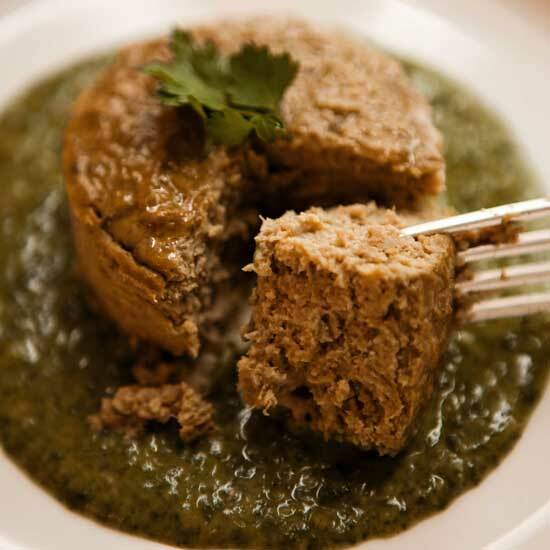 But vacuum-packed and pureed chestnuts are available year round, offering earthy flavor with a hint of sweetness. 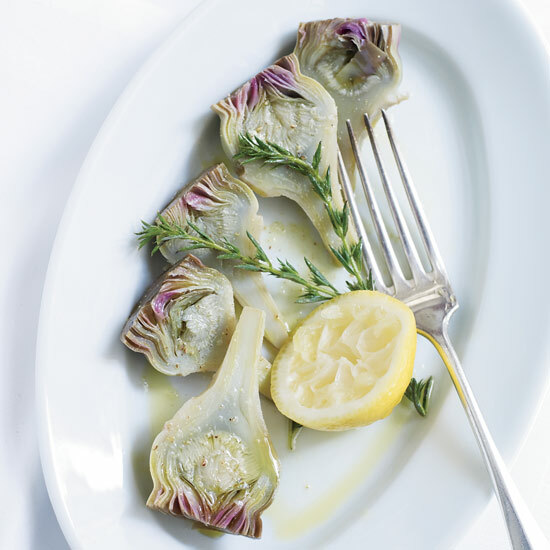 In an homage to spring, Rolando Beramendi makes these lush custards with fresh artichokes; the flavor is wonderfully vivid. 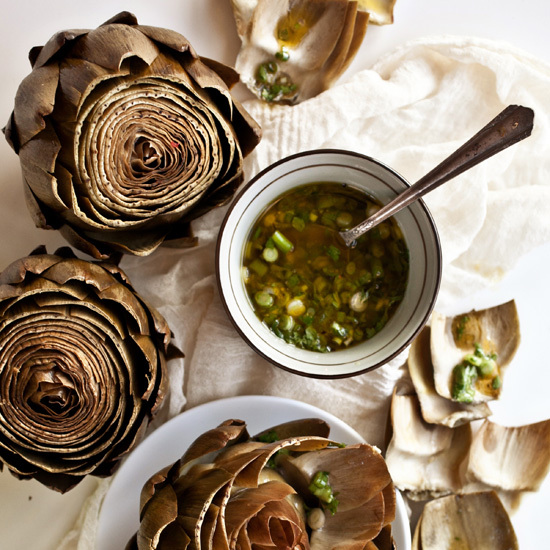 David Myers’s simple soup, with its intensely earthy artichoke flavor, makes the most of exemplary Big Heart artichokes. 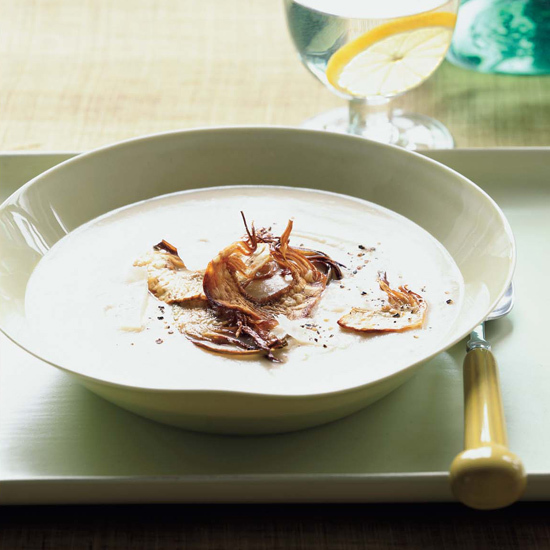 It’s also a great way to use leftover Parmesan rind: Myers tosses it into the soup while it simmers, then discards it before pureeing.